If you’re sending email campaigns, you will get complaints. It’s one the laws of the universe. Well, maybe that’s a little dramatic. But it is part of life for email marketers, and there’s really no way around it. 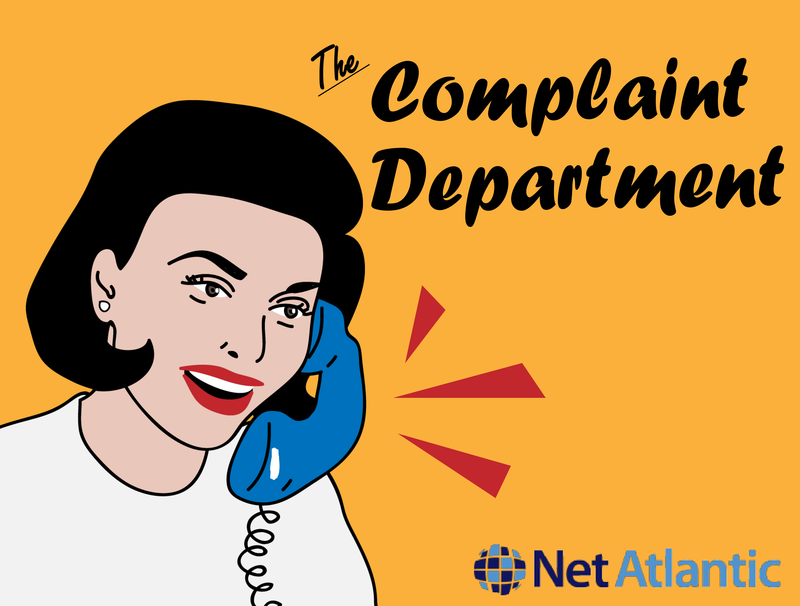 That said, if you are using an email service provider like Net Atlantic, those complaints will be monitored, tracked by sender and campaign, and reviewed by an abuse and compliance person (that would be me!). Here are some things to keep in mind, from a compliance perspective, when creating your next mailing. As a guideline, your mailing shouldn’t exceed a complaint rate of 0.2%. That’s one complaint for every 500 addresses the message was delivered to. This only works if your recipients use an email client that provides the ability to mark an email as spam. What does that mean exactly? If you send to 20,000 addresses, but only half of them have the ability to mark an email as spam, and only half of those are successfully delivered, then the number of addresses delivered to (that can mark an email as spam) would be 5,000. If there were 10 complaints received out of those 5,000 addresses, the complaint rate would be 0.2% (10/5000). This would be right at the top of the acceptable complaint rate. If elevated complaints are only a sporadic problem, then you aren’t likely to have reputation or sending issues. However, consistent issues with complaints above the 0.2% guideline can impact the reputation of your own domain, and can also cause reputation and delivery issues for the ESP sending your mail. Depending on a number of factors, plus a review of your list, history, collection practices, etc., you may receive a notice about the problem, along with an action plan to help you reduce complaints going forward. Continued issues with elevated spam levels may result in your account being temporary suspended while you sort out the problem. This is done to prevent complaints from being an ongoing issue. As a final measure, depending on the circumstances, your account could be terminated as a result of continued and persistent complaints. In most instances, this is done to protect the sending reputation of the ESP so that they can continue to provide service to other clients. Contrary to popular belief, abuse and compliance folks do not enjoy cancelling accounts. I personally get much more satisfaction out of helping a client reduce complaints and send better mail than I do out of closing an account. If your list is well managed and properly maintained, and you are sending mail that subscribers have consented to and are expecting, you’ll generally have fewer issues when it comes to complaints. If you do start noticing a rise in your complaint rate, that is your cue to take a look at your sending practices, and make any necessary changes to your list membership and/or email content. Questions? Feel free to contact me at 877-263-8285, or leave a comment below. I’m here to help!